"They have their job to do, but I had mine." 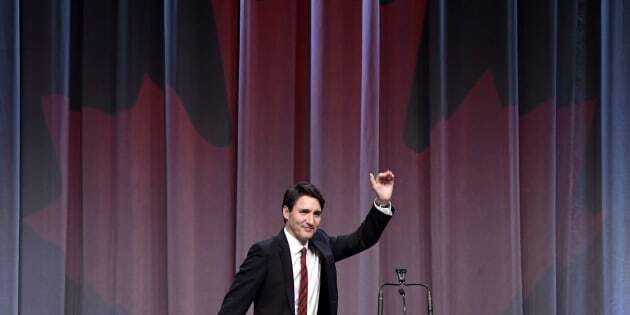 Prime Minister Justin Trudeau waves after speaking at the National Liberal Caucus Holiday Party in Ottawa on Dec. 13, 2017. OTTAWA — A Liberal and NDP MP were punished this spring for voting in favour of a Conservative motion asking the government to drop its controversial attestation requirement for Canada Summer Jobs funding. NDP MP David Christopherson lost his role on a powerful parliamentary committee, but got it back after colleagues spoke out against their leader's punishment. But for Liberal MP Scott Simms, no one on the government side immediately — or publicly — came to his defence. The Newfoundland MP sat down with Follow-Up to talk about what he thinks has "devolved" in party politics and why he has no regrets about going against his own party.